In the fall, I stopped posting my Monday Mixtape posts in favor of a more personal weekly series promoting independent art-makers. 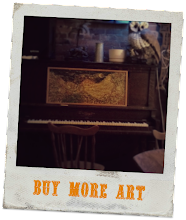 That series Buy More Art has been fun and I'm looking forward to taking it up a notch this year with giveaways and interviews and more all-around hoopla. I stumbled onto a fun blog link-up hosted by Hopeful Leigh, and I think I've found the happy second generation of Monday Mixtape. The problem is that I keep being super busy at the end of the month and don't get to actually posting my list until the link-up is closed. Still, I share my March 2013 with you all. I don't know about you, but happy mediums make me -- well -- happy. 8 Here is New York, by E. B. White and Roger Angell (Little Bookroom, 2000) - Picked up this slim (58 pages) hardcover from my library on a Monday morning about 10:30, poured some iced tea and read on my front porch rocking chair until I'd finished, maybe an hour later. And what a delicious hour it was! Long-time contributer to The New Yorker magazine, beloved children's fiction author -- Charlotte's Web is most well known, The Trumpet of the Swan is my personal favorite -- co-author of the influential Elements of Style and prolific essayist, Elwyn Brooks White wrote the loving sketch of the Big Apple originally on assignment for Holiday magazine in 1948. He turned the essay into a book in 1949 and it was re-released with an introduction from his stepson (Roger Angell) in 2000. 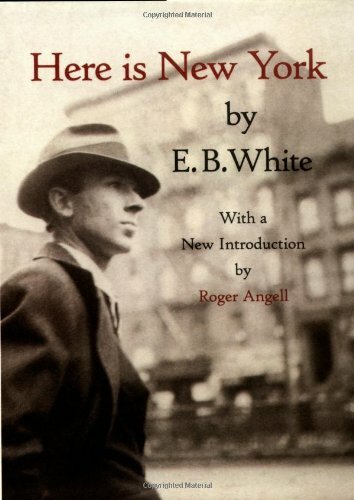 To write the essay, White came back to Manhattan after moving his family to Maine. I wonder if this might be part of what makes the brief work what The New York Times calls "one of the best 10 books ever written about the metropolis". Maybe it was the coming home again, walking the streets, observing his former preoccupied neighbors, sweating out each sentence at the typewriter in his non-air conditioned hotel room. The perspective he'd gained going away from the city and coming home again seems to lend itself to a warm, nostalgic -- but not overly-romanticized --perspective on this greatest of all cities. Or maybe that's just my homesick heart reading into his words. "I mention these merely to show that New York is peculiarly constructed to absorb almost anything that comes along (whether a thousand-foot liner out of the East or a twenty-thousand-man convention out of the West) without influencing the inhabitants; so that every event is, in a sense, optional, and the inhabitant is in the happy position of being able to choose his spectacle and so conserve his soul. In most metropolises, small and large, the choice is often not with the individual at all. He is thrown to the Lions. The Lions are overwhelming; the event is unavoidable. A cornice falls and it hits every citizen on the head, every last man in town. I sometimes think that the only event that hits every New Yorker on the head is the annual St. Patrick's Day parade , which is fairly penetrating -- the Irish are a hard race to tune out, there are 500,000 of them in residence, and they have the police force right in the family. The quality in New York that insulates its inhabitants from life , may simply weaken them as individuals. Perhaps it is healthier to live in a community where, when a cornice falls, you feel the blow; where, when the governor passes, you see at any rate, his hat. 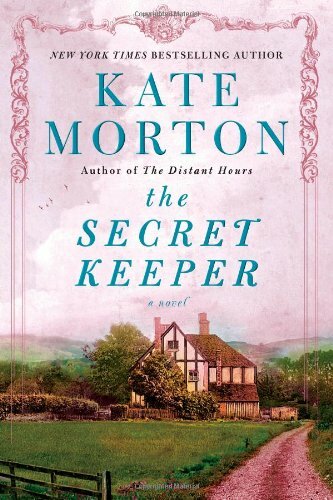 9 The Secret Keeper: A Novel by Kate Morton (Atria Books, 2012) - I think I've I've been craving fiction and didn't even know it until I started reading novels again. 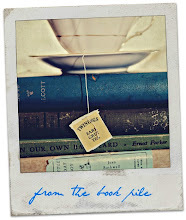 Somewhere along the line I stumbled onto Katie Noah Gibson's blog, Cakes, Tea and Dreams, and began filling my "to-read" list with suggestions from the many, many books she's able to read each month. (How does she do it?!?) The Secret Keeper is one of those books. Turns out I started with a new release from the New York Times bestselling author of The Distant Hours, The Forgotten Garden, and the House of Riverton. Morton skillfully uses flashback storytelling to set us in several English eras -- from pre-World War II through the Blitz to the early 1960's and present day -- to draw us into the rich settings her characters inhabit. More than that , I was intrigued by the story. In 1961, sixteen-year-old Laurel watches her mother kill a man. Even though her parents come to realize Laurel witnessed it, they never speak about the incident again with her or give a proper explanation. Now as Laurel's mother reaches her 90th birthday, swings in and out of dementia and approaches death, Laurel becomes obsessed with learning the truth of the story before her mother dies. The story is good, the characters compelling and the plot twists delightfully surprising. Perhaps most fascinating is the way Kate Morton reminded me my own desire to know the unspoken stories in my family tree, the urgency to collect memories from the Rememberers leaving us all-too soon. 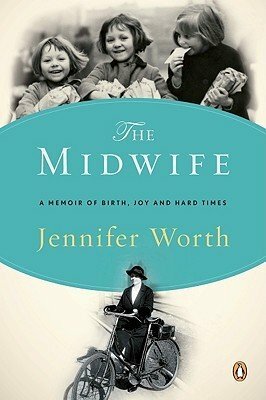 10 The Midwife: A Memoir of Birth, Joy, and Hard Times by Jennifer Worth (Penguin Books, 2009) - I've told you this is my newest favorite television series and thought it time I read the trilogy that launched the PBS drama. Honestly, I was a bit hesitant to read the original memoir because I thought it might reveal too many differences between the true-life story with what is shown on television. To my delight, screen-writer Heidi Thomas has written each episode (so far) true to reality. Where I discovered creative license, it was the sort that enhanced the story and made perfect sense. More importantly, knowing better the jagged details sharpened my appreciation for the nun-midwives and district nurses of Nonnatus House. Their gracious, dogged determination to be the hands and feet of their Savior to the suffering women and children (all people, actually) in the heart of a mid-twentieth century Dickensian world teaches me incarnational love, just as it drew Jennifer Worth (nurse Jenny Lee in the program) to the Gospel. I'm adding the next two books of the trilogy to my library hold list at this very moment. You should, too. 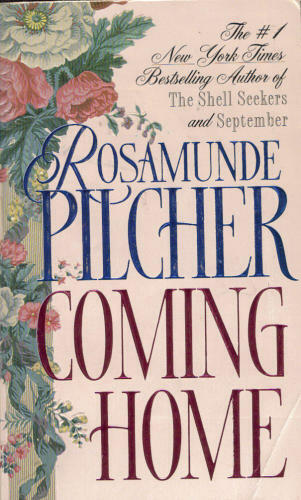 11 Coming Home by Rosamunde Pilcher (St. Martin's Paperbacks, 1996) - After I described my first experience reading a Rosamunde Pilcher novel last month my mother told me she was one of her favorite authors. How'd I miss that all these years? She mentioned she might be willing to loan me a couple of her favorites (hint, hint, Mom). So I've read two warm stories by this author now and, by far, preferred Winter Solstice to Coming Home. For one thing, the first title is a bit shorter read to the 977 paperback pages in the latter (which I stayed up until 4am reading...ugh!) I'm not opposed to reading many pages, but I felt like at least one-third of Coming Home could have been removed and I'd have enjoyed the story more. Or maybe I've become a lazy reader. I mostly just wanted to know when the main character Judith (love that name) discovered true love, true friendship, and true home. I didn't need to go down so many dead ends with her to appreciate the good parts of the story. Still, I haven't lost my fascination with WWII-era London, the English coastline, or four-o'clock tea time. 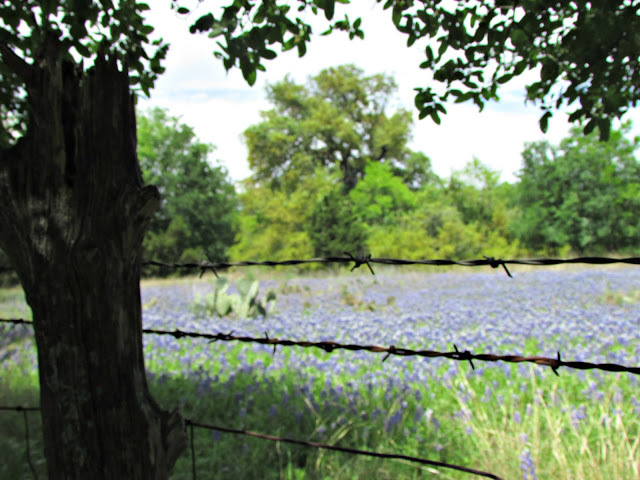 I happen to enjoy Terrence Malick. He forces me to slow down and relax when I'm watching his films. When I do that I realize that I actually see the world in much the same way: a series of impressions -- light, sound, movement, contrasts and connections. Several times, in the theatre with my husband, I caught myself wanting to be cynical-- really, how many times do we have to watch this woman dance across a field, raising her arms to the sun? But, I think Malick knows that and insists on barraging us with what almost felt like a 112 minute lyrical dance with an occasional pause for a snippet of plot line. Still, the story we're absorbing through the moving images tells the truth. Whether the relational brokenness of a romantic couple or the prisoner receiving the sign of the cross through thick glass windows or the lonely priest asking more questions than hearing answers we are all as the voice-over whispers "thirsty". I'll be processing this film for awhile. Pretty sure it's going to show up on the blog again. Fitz & the Tantrums - my boss played this in the office Friday and it's just totally fun. Has a bit of an early-80's pop/disco vibe with a dash of R&B. Also, I heart the lead singer's hair. In memory of the beloved ragamuffin Brennan Manning who went home this past month. Our son Andrew made it through the preliminary round of Funniest Person in Austin. Semi-finals begin the second week in May and we've got our fingers crossed! We're moving -- again. About five miles southeast of where we live currently. Downsizing, simplifying, saving money -- that's what the plan is anyway. AND, the blog turned 7 years old on April 10! In honor of the anniversary of that first post (the profound title: Hello!) I gave the blog its very own facebook page. 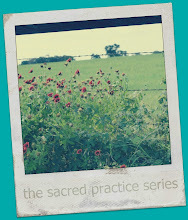 I'd be so pleased for you to head on over to This Sacramental Life on facebook and "like" me. So what about you? What’s in your book pile?